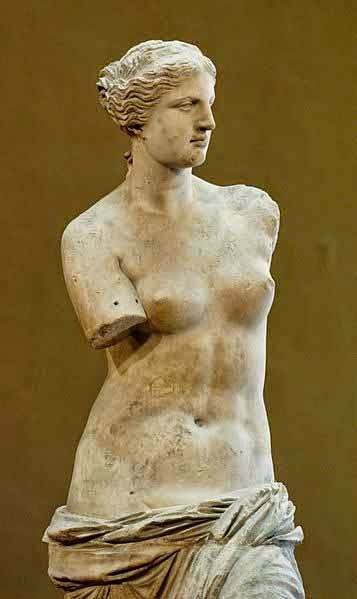 The Roman deity Venus was the goddess of gardens, cultivation, spring, and fertility. Tradition has it that the first known temple to Venus was promised by Quintus Fabius Gurges--fighting a battle against the Samnites, he promised to honor Venus obsequens ("indulgent Venus") if he were victorious. He was. And the first Roman temple to Venus was dedicated on 19 August 295 BCE. That temple, near the Aventine Hill, no longer exists. But here's an image of the Temple of Venus genetrix, dedicated in 46 BCE by Julius Caesar.